Registration is now open for the 6th annual Women in Agriculture Conference! Whether you are on Facebook or face to face, it matters how you connect with others. "We Can Do It" is the theme for the sixth annual Women in Agriculture Conference. This year's conference will be an engaging, interactive day full of inspiration, learning and networking with other women farmers. The conference is a one-day event held simultaneously in 40 locations throughout Alaska, Idaho, Montana, Oregon and Washington. Both of our 2017 speakers, Alexis Taylor, Oregon Department of Ag Director, and Anne Schwartz, Blue Heron Farm owner, will inspire participants to strengthen their leadership skills, become leaders in their communities, become more involved with long-time farmers and guide and mentor new farmers. Each event location will have a panel of local women farmers who will talk about their leadership roles, the challenges they have faced and how they have used a mentor to develop their skills. Participants will have the opportunity to ask questions and interact. It will be a full day of learning and networking! This conference is designed for all women farmers and anyone who works with women farmers. If you have been farming for years, are a new and aspiring farmer, a banker, lender or anyone in the agricultural industry, this conference is for you!. Registrations fees are: $25 if you register between October 5 and November 5; $30 if you register between November 6 and November 17. Your registration fee includes a light breakfast, lunch and all the conference materials, along with a great bag to take everything home! Limited scholarships are available for college and high school agriculture students, 4-H members and FFA members. Visit our website for the application. 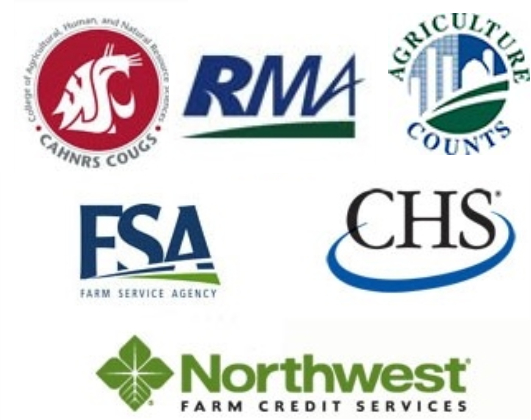 If you are an aspiring farmer and need financial assistance to attend this conference, please contact us directly at viebrock@wsu.edu. For more information, find event locations or to register, visit WomenInAg.wsu.edu or contact me at WSU Extension. We hope to see you at one of our locations listed below!